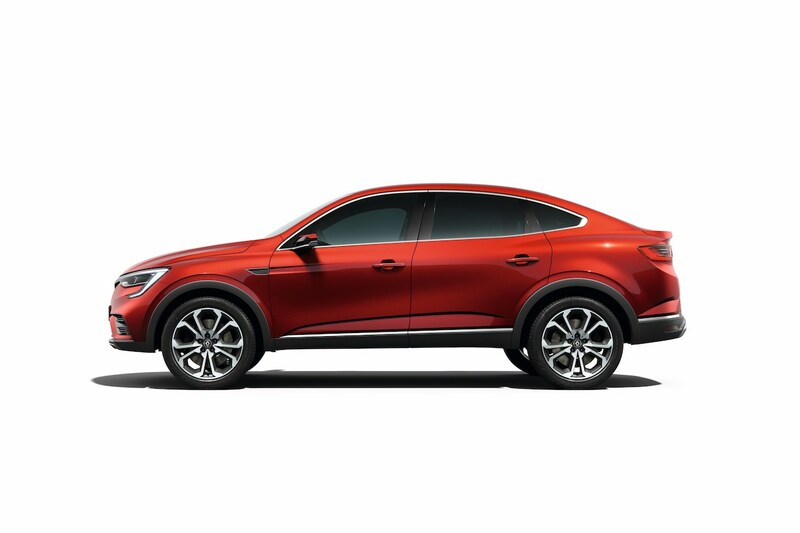 Renault has lifted the wraps off its first-ever SUV-coupe - the Arkana. Here’s a clip posted by the company on the Russian social media to give a close look at its exterior. The Renault Arkana is still a concept, but it is near to what we will see in the production version. It has hints of the Renault Captur (Renault Kaptur) as well as the Renault Megane in its design. At the front, the Renault Arkana has sharp full-LED headlamps with C-shaped LED DRLs flowing onto the bumper to meet the character line. It is on the sides where the vehicle’s USP lies - featuring a sedan's fluidity and an SUV's sturdiness. High ground clearance and a high waistline express the vehicle’s robustness and character, and the wide wheel arches housing large 19-inch wheels lend the much-needed sportiness of a coupe. The wedge-shaped side view is as radical as the BMW X6, a roofline that is accentuated more than the Skoda Kodiaq GT or even the BMW X4 for that matter. At the rear, the Renault Arkana sports an integrated spoiler and aluminium twin tailpipes. The combination lamps are connected via a sleek tail light strip that meets at the Diamond logo in the centre, below which the ‘Arkana’ name is inscribed in the Renault typeface. The Arkana will hit the production lines at Renault’s Moscow plant for Russia and CIS countries in 2019. The company confirmed that the C-segment SUV coupe will become its flagship next year, slotting above even the D-segment Renault Koleos. Clearly the B0 platform is punching above its weight with the Arkana. Latin American and Asian markets will also gain the C-SUV. So far, Renault has confirmed Brazil from the former and South Korea and Asia from the latter. The CIS markets and Latin America’s version will ride on the B0/Logan platform, while the Asian markets will get a different version underpinned by the more sophisticated CMF-B platform. The Renault Arkana was developed by design teams in France, in close cooperation with Renault Russia's teams. Given the Renault Captur’s abysmal sales figures and the conservative needs of the SUV buyer, we don't see the Renault Arkana coming to India.